Thanks to Trump's tax plan, analysts expect the number of taxpayers claiming itemized deductions to decrease significantly. Learn how your mortgage interest deduction is affected. Tax simplification was part of the pitch to sell the 2017 Tax Cuts and Jobs Act (TCJA) to the American public. To help achieve this goal, Congress raised standard deductions and reduced or eliminated several itemized deductions with the TCJA to encourage filers to take the standard deduction. Taxes are much simpler if you don't itemize, and there's no reason to itemize if your standard deduction is greater than your collective itemized deductions. The TCJA raised the standard deduction for married couples filing jointly to $24,000 (almost double the previous deduction of $12,700). The standard deduction for single filers rose to $12,000 from $6,350. Taxpayers filing as heads of household may now claim $18,000, up from $9,350. However, two major itemized deductions for homeowners were limited by the TCJA. The state and local tax deduction (SALT) was limited to $10,000 for married couples filing jointly – hitting homeowners hard in states with high taxes and high property values. The mortgage interest deduction on homes purchased from December 15, 2017 forward was limited to the interest on $750,000 of mortgage debt (down from $1 million). 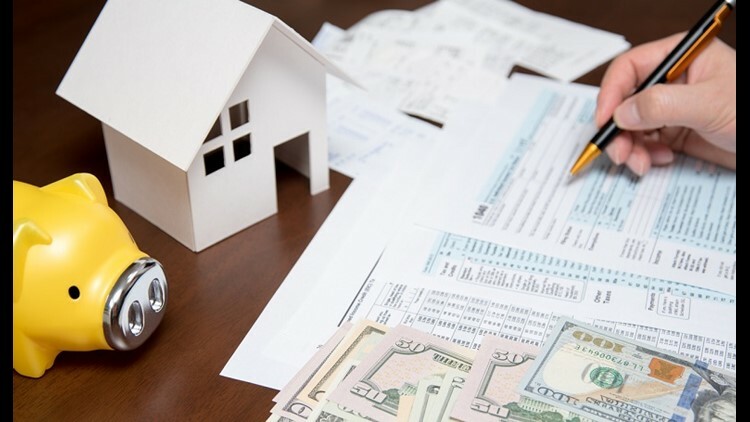 Thanks to these changes, analysts expect the number of taxpayers claiming itemized deductions to decrease significantly in tax year 2018 and use of the mortgage interest deduction will drop as a result. That deduction has historically been underutilized even under the old rules – only 20% of tax returns have claimed the mortgage interest deduction in recent years, according to the Urban-Brookings Tax Policy Center – and the TCJA will just accelerate the decline. An analysis by the Tax Policy Center anticipates that the number of itemizers will drop from over 25% under the old rules to just over 10% under the TCJA. Those results correlate reasonably well with the Congressional Joint Committee on Taxation's prediction of a nearly 57% drop in taxpayers claiming the mortgage interest deduction – from 32.3 million in 2017 to around 13.8 million in 2018. The Congressional Joint Committee's work shows that the changes will have the least effect on both ends of the economic spectrum. Fewer than 500 taxpayers with incomes under $10,000 are expected to claim the mortgage interest deduction last year and this year – not surprising, as few people with incomes less than $10,000 itemize deductions at all and many are unlikely to own a home. At the other end of the scale, the number of taxpayers earning $1 million or more expected to take the mortgage interest deduction only falls from 328,000 in 2017 to 314,000 in 2018. Once income drops below $500,000, the expected drop in mortgage interest deduction claimants is huge. Only Nearly 3 million fewer taxpayers with incomes between $200,000 and $500,000 are expected to use the mortgage deduction when compared to last year, or about 56% of 2017 totals. In most other income increments, 2018 mortgage deduction claims are expected to fall to between one-third and one-fourth of 2017 levels. Will you be in a position to claim the mortgage interest deduction? Perhaps not, but you shouldn't assume it's no longer feasible for you to itemize. Look over a summary of the TCJA's effects on your taxes, and then review the remaining deductions to see if they come close to your new standard deduction level. The mortgage deduction may still make sense for you in the 2018 tax year.